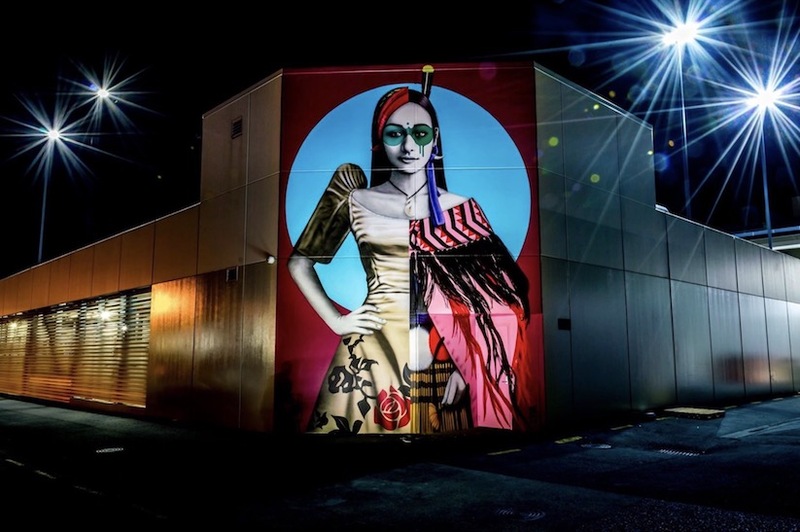 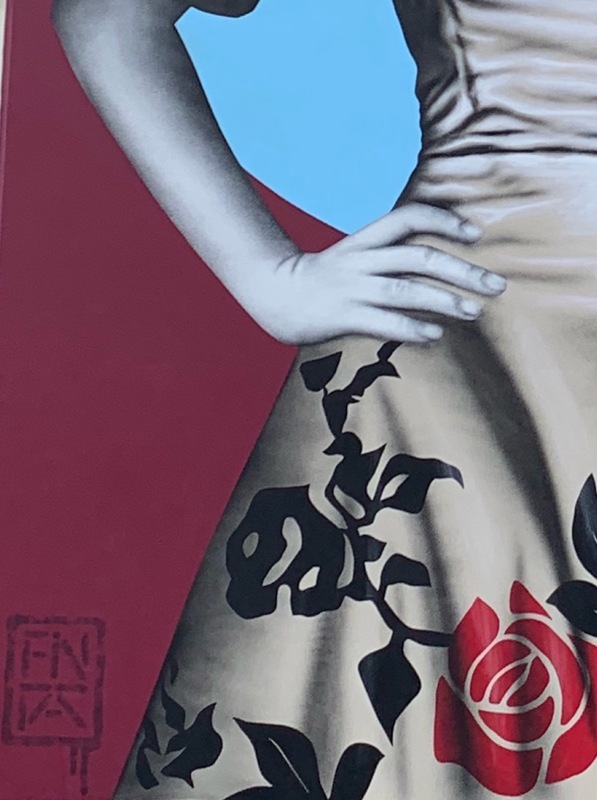 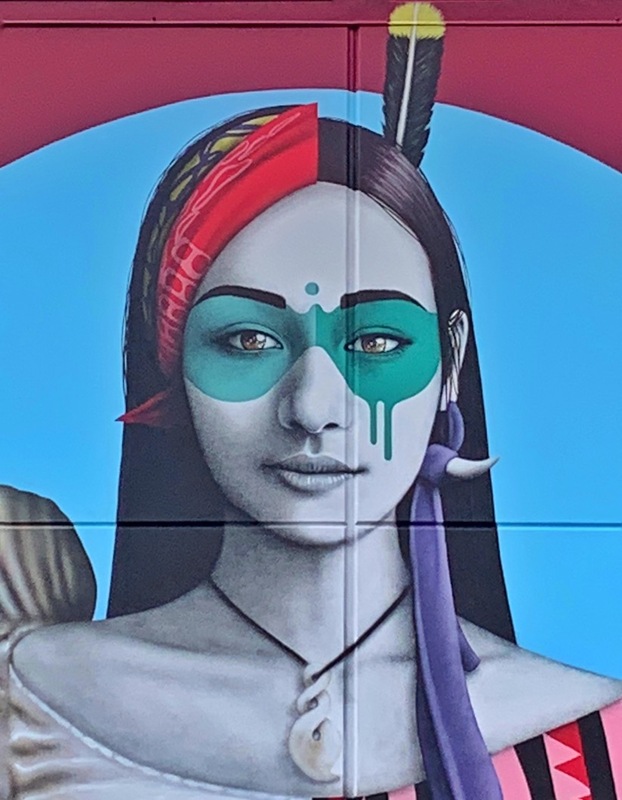 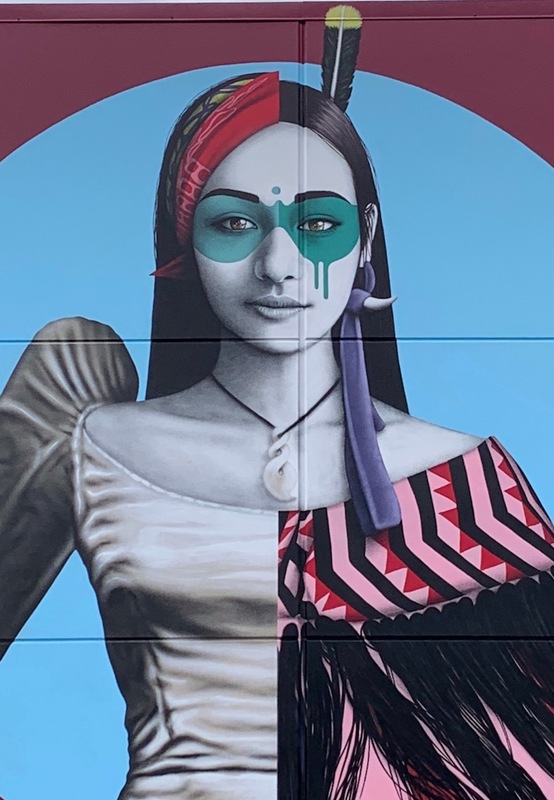 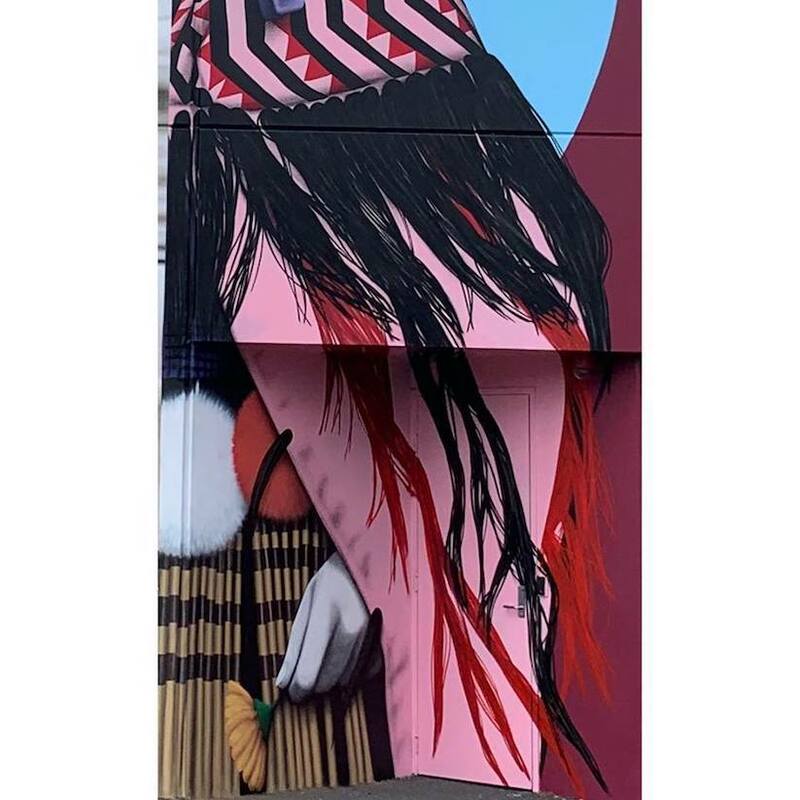 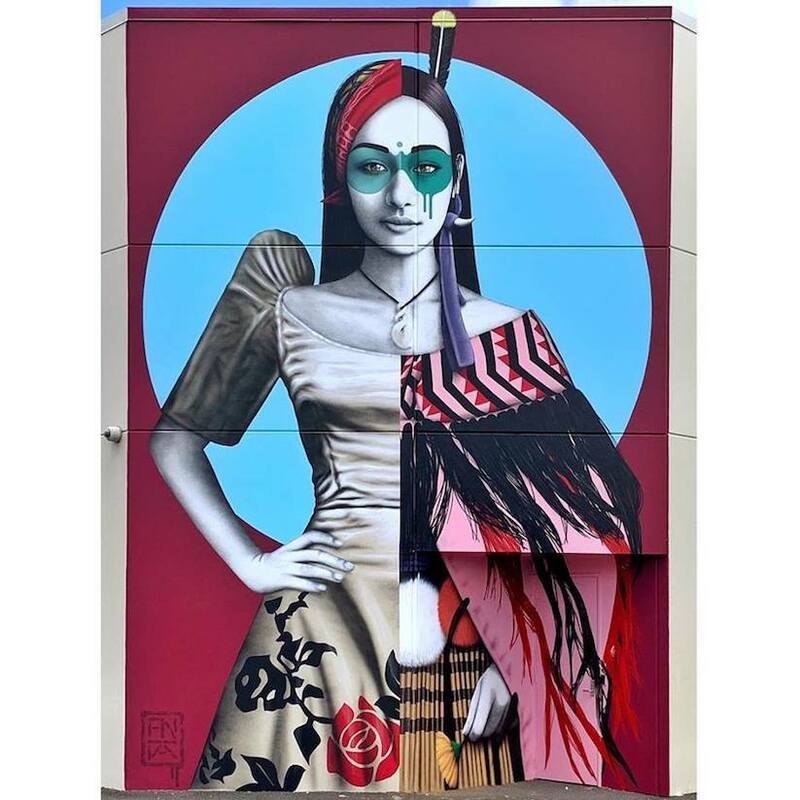 Street Artist Fin Dac has just been in Whang?rei in the north of New Zealand for the latest Street Prints Festival ‚Street Prints Manaia‘. 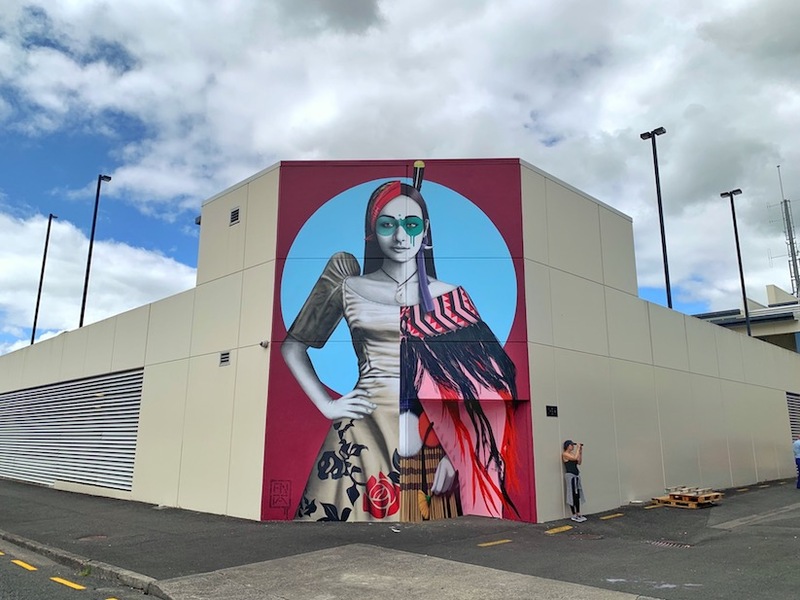 Working to a theme of ‘Weaving the Threads of Humanity’ Fin chose to depict a model/muse of dual ethnicity/heritage: Maori and Filipino. 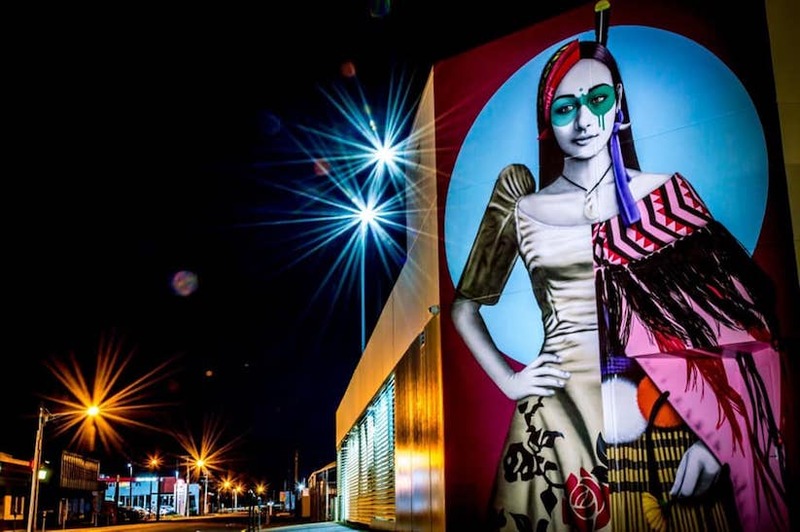 The ‘spilt’ image shows traditional clothing from both sides as well as specific jewellery and adornments.